Retired farmer Olin Ruste used his woodworking skills to explore his Norwegian heritage. 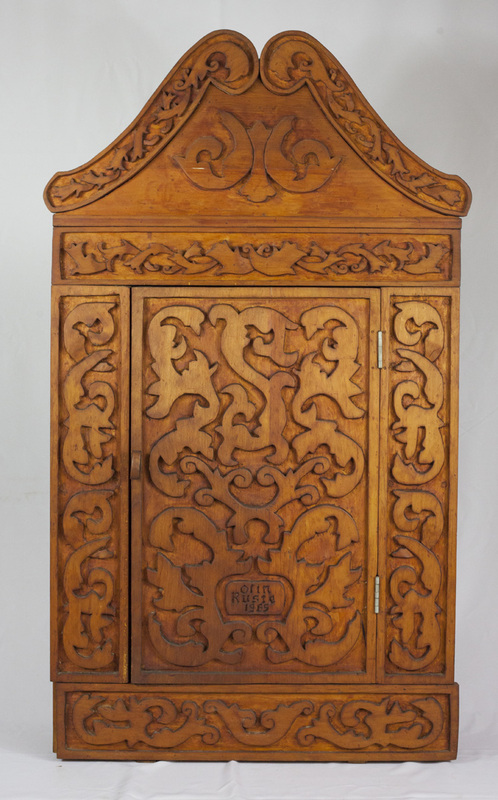 In the mid- to late-1960s, Ruste constructed and decorated in carved relief this wall cabinet and chest, both for his own personal use. 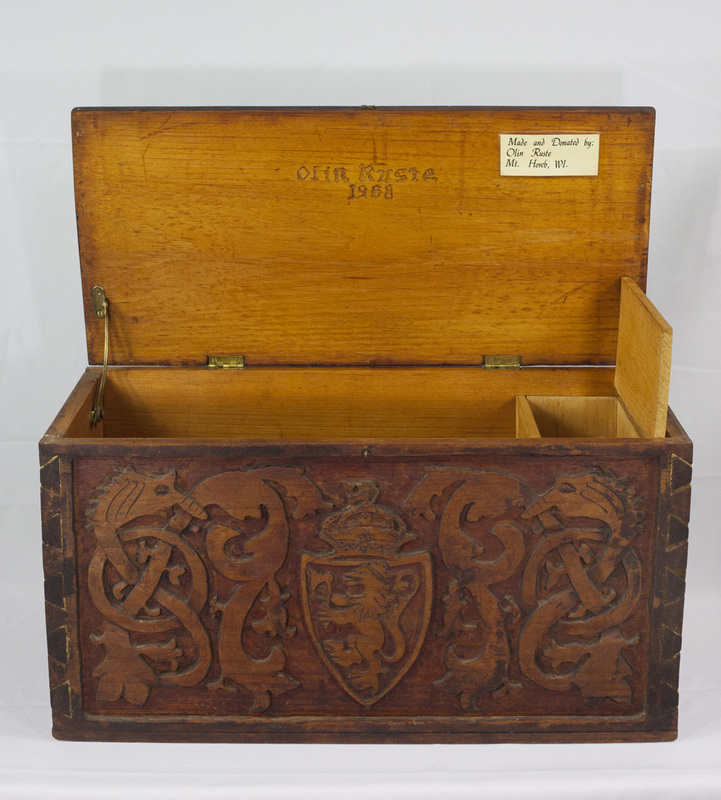 The wall cabinet proudly displays his name carved in the lower front panel, while the chest incorporates not only the Norwegian Coat of Arms, but also the motif from the main building at Little Norway where he acted as a guide. After honing his skills, Ruste went on to successfully tackle the construction of a full-size Norwegian stubur, or storehouse, at Little Norway in 1969.